Yonah Farm and Sustainable Solutions of North Georgia (SSNGA) were created out of dream to achieve a simpler way of life, embrace sustainability, and obtain self-reliance to leave as a lasting legacy. Go to this link: https://online.flippingbook.com/view/931502/ to view the masterplan for Yonah Farm which embodies our climate resilient construction and sustainable land sciences. What is meant by a sustainable lifestyle? It encompasses many disciplines and has different meanings for most people. In general, it pursues a lifestyle of preserving our natural resources and the impact we have on people and the environment. We are creating a property that at its very heart is becoming self-sufficient and self-reliant. We intentionally built in resilience by varying our means of heating, cooling, water, and electrical power throughout every structure and application. We have developed back-up resources for cloudy days, water contamination, power outages, interrupted food supply, and lack of fuel. 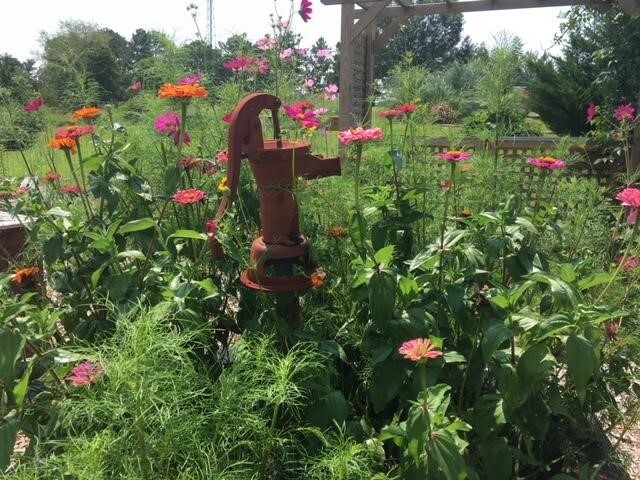 At the same time, we have created an oasis to refresh our minds and spirits at Yonah Farm. How did we choose and design our name and logo for the Farm? 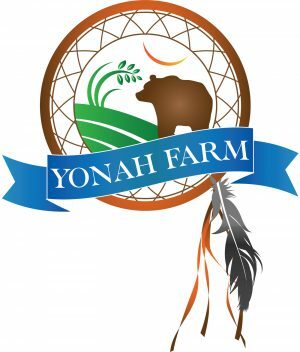 Yonah means “bear” in Cherokee and “peace” in Hebrew. Come and experience our lush ecosystem with an abundant food forest in progress and education center all nestled in the foothills of the North Georgia Mountains. Learn how you can transform your dream into a lasting legacy for your loved ones and have fun doing it while digging in the dirt or cutting your own flowers!